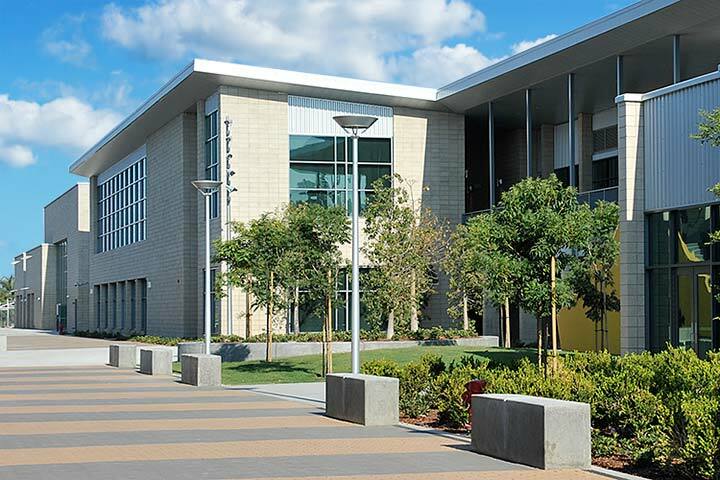 One of the Long Beach Unified School District’s newest schools, McBride High School, was honored Sunday as one of four finalists for a top national award from the nonprofit Association for Learning Environments, and last month the school earned the Honor Award for Education Design from the Concrete Masonry Association of California and Nevada. The Association for Learning Environments recognized McBride as a finalist for the James D. MacConnell Award at a San Diego event. MacConnell is considered the father of educational facility planning and is best remembered as the director of Stanford University’s School Planning Laboratory. The MacConnell Award recognizes a comprehensive planning process that results in educational facilities that serve the community, enhance education and meet several other goals. “School facilities recognized in this award program might embody great architecture, but their successful components and characteristics were founded in an interactive process that engaged multiple stakeholders to create an educational environment that holds purpose and distinction within a community,” the award criteria state. The top winner of the MacConnell Award was Fisher Middle School in South Carolina. McBride also was one of only four schools in the California and Nevada region to earn the Concrete Masonry Honor Award this year. The Masonry Association described McBride as a safe, secure, durable and comfortable school that is energy and water efficient, with stimulating architecture. Construction of McBride was funded by Measure K school bonds, approved by local voters in 2008. EXCELLENCE BY DESIGN – McBride High School, which opened in 2013, has earned multiple honors in recent weeks for the school's exceptional design and thoughtful, inclusive planning. Reviewers describe the school as safe, secure, durable, comfortable and energy efficient.